Many people get a summons for jury duty and immediately lament the responsibility. There are, however, some people that delight in getting called to serve. These people have found an easy way to make money online from home and the need for online jurors grows every day. What is an Online Jury? Before they go to trial, attorneys often want to test out the merits of their cases. They want to know if the arguments they plan to use will sway the jury to find in their favor. These attorneys use online jury companies to set up mock juries to “try” their cases in advance. The companies pay these jurors a fee to review both sides of the case and report their findings. 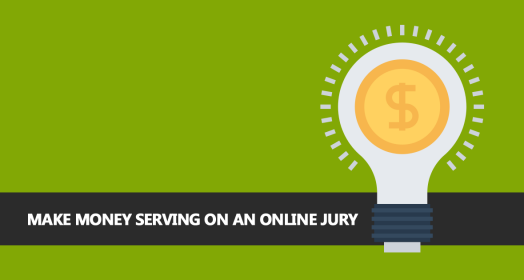 Who Can Serve on an Online Jury? The rules for jury service depend largely on the needs of the attorneys. When you sign up for jury duty, you will complete a questionnaire that asks about your background,education and geographic location. Where you live has the most bearing on how many cases you will get as attorneys often want local jurors for their cases. When a case comes up that is a match for your profile, you will receive a notification that you have been selected to serve. Some cases are more detailed than others. For some cases, you will be required to read written documents that outline the attorney’s case. For others, you will listen to an audio version of the case. After you have heard both sides, you will be asked to fill out a detailed questionnaire that gives your opinions on the strength of the case. You will also choose a verdict. Plan to spend between two and five hours reviewing the case and filling out the questionnaires. The average payment is $40 for each case. Online jury duty is an easy way to make money from home. Find an online jury today.